In 1970 Lucianna Gladney-Ross, heiress to much of the 7-UP company fortune, launched an energetic restoration project that literally saved the City of Kimmswick. Restoration work was done on numerous old homes. A unique feature of this renovation project can be seen on the block bounded by Second, Elm, Third and Oak Streets. Old log buildings from throughout St. Louis County and surrounding areas were dismantled, their logs numbered, and re-assembled in Kimmswick so that they too might be preserved. 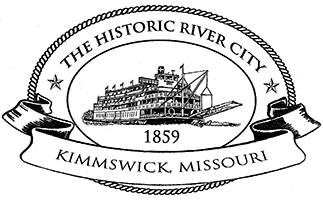 Mrs. Ross became known as the benefactress of the city of Kimmswick. Her husband, Walter Ross, was a newsman for the Saint Louis Post-Dispatch for many years. Lucianna Gladney-Ross has also served on the board of directors of the Missouri Botanical Garden which has a reputation for being one of the leading botanical gardens in the world. Mrs. Ross was also a recipient of the Rozier Award from the Missouri Alliance for Historic Preservation. For her many years of work with the City of Kimmswick, the Jefferson County Growth and Development Association awarded Lucianna Gladney-Ross the Jeffersonian Award in 1993, which honors those who display civic involvement, integrity, exemplary service to the community and who make an impact on the lives of Jefferson County residents and businesses. On January 24, 2012, Lucianna Gladney-Ross died at her home in Saint Louis, Missouri.